“Destroyer” director Karyn Kusama recently told Entertainment Weekly that she thinks actress Nicole Kidman just keeps getting better. It seems like Kidman’s been around for a long time (she did win an Oscar 15 years ago for “The Hours”). But the past two years have been a defining point in her career: another Oscar nomination for “Lion”, followed by an Emmy win for “Big Little Lies” and a powerful performance in the newly-released “Boy Erased”. And now, we add to that list her mold-breaking work in “Destroyer”. This is an eerie, progressively suspenseful crime thriller that puts Kidman (and us) to the test. This movie takes you on a wild ride and then makes you question everything you just witnessed. 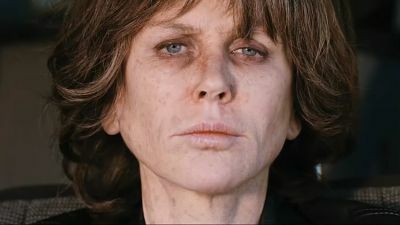 I stayed away from learning too much about “Destroyer” beforehand, and I recommend you do the same. Here’s all you need to know: Kidman plays veteran LAPD detective Erin Bell. Two parallel stories – one set in present-day, the other nearly 20-years earlier when Bell was a rookie on the force, intertwine throughout. Kusama and the film’s makeup and hair team do a terrific job making Kidman appear two decades younger in the flashbacks, while so tired and worn down in the present that she’s nearly unrecognizable. Redemption may be the overriding theme, but it’s not presented in typical Hollywood fashion. Bell gets the opportunity to right a wrong when a key person from a previous case returns to LA. Flashback scenes provide some insight to the who’s and why’s – but “Destroyer” makes you work for the rest. Kidman’s Bell goes far beyond simply being a female version of most Liam Neeson movie characters. She’s gritty, ruthless, physically battered and haunted by a past that pushes her to the breaking point. Bradley Whitford and “I, Tonya”‘s Sebastian Stan lead the solid supporting cast. 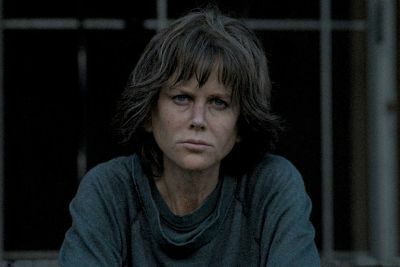 But “Destroyer” is Nicole Kidman’s showcase. She’s devastatingly captivating. This is a highly demanding role and Kidman is up for it all. A handful of scenes are stretched a bit longer than necessary. But the original screenplay by Phil Hay and Matt Manfredi is one of the best of the year. You won’t realize just how good it is until the end credits roll. “Destroyer” is one of the biggest surprises of 2018. On The Official LCJ Report Card, “Destroyer” gets an A-.